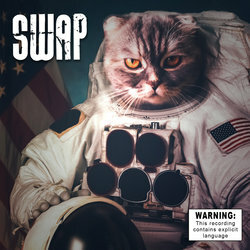 “Swap is a rock band with loads of energy. Some classic and some progressive rock in place here with great songwriting, structure and conviction ... I give them a 10 out of 10 for energy and show. These guys are ready. If you are going to be watching an original rock band in Sydney, this should be the one." Australian finalist in the Emergenza competition & won best unsigned guitarist in Australia award. 2016 - played and interviewed on radio Skid Row 88.9fm and new self-titled album release. During this period Swap has performed at The Metro, The Factory Theatre, The Lair, The Hornsby Inn, Fitz Centre, Valve Bar - Agincourt Hotel, Lewisham Hotel, The Roundhouse & The Manly Fishos. 'Not One Of Us' was written about someone's (unfortunately to common) view of boat arrival asylum seekers. He had the view that they were separate from us and therefore not our problem. This song discusses and confronts this view. This song was also featured in the documentary film 'Freedom Stories'.